Dr. Molly Barrow has been working in Naples as a mental health counselor and psychotherapist since her arrival in 1998. 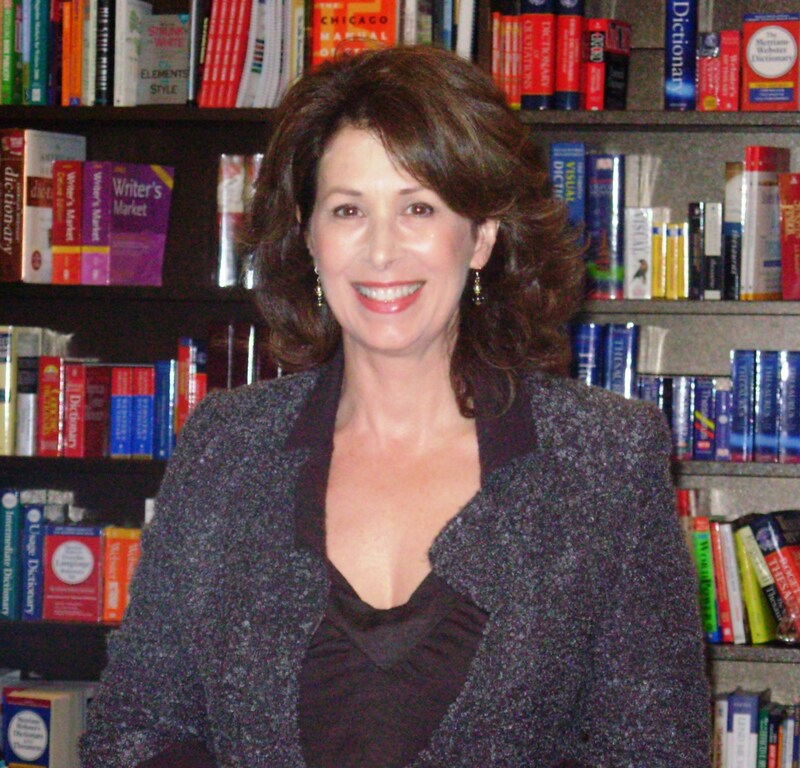 She opened her private practice here soon after earning a Ph.D. from Walden University with a dissertation on Pathways and Pitfalls of Co-parenting in the Divorce Process. Before that, following B.A. and M.A. degrees in psychology from the University of Northern Colorado, she had already established herself as a mental health practitioner. But there is another Molly Barrow who has training and experience as an actor, director, writer, and production supervisor. So we have here a talented and highly-educated woman who is a member of both the American Psychological Association and the Screen Actors Guild. These two areas of expertise nourish one another in several of her enterprises. For example, Dr. Barrow wrote, directed, and edited several NEVCO medical training videos. She is also involved in a full-length film, My Suicide, which is mentioned in her comments that follow. Her experience in front of and behind the camera helps her communicate and inform, whether as a teacher, guest speaker, contributor to documentary video projects, or expert witness. Now, growing out of her clinical work, Dr. Barrow has written her first book – Matchlines. PKJ: How did you first get the idea for the book? MB: During my counseling sessions I questioned why people who gave great quality love still could not make their relationships work. I developed a theory and began to show it graphically to my patients. They reacted first with an “Aha! I get it,” then later they were able to balance their relationships and found happiness. I was aware that men could understand the relationship in a “big picture” way after they saw me draw the lines of their relationship. Patients knew what their next move should be and it worked for them. I wanted to reach more people, so I wrote the book. PKJ: In a somewhat crowded field, what makes your book stand out? MB: Your relationship can affect your good health, divide your finances, and make or break your children’s happiness. There is room for many books on how to communicate and improve your relationship with your partner. Matchlines is a tested theory that works. The book can be used to improve all relationships, help to distinguish the right partner for you, and build your self-esteem. Many readers say they are excited and empowered by the book, and even call it a self-help page turner. It is good for adults married thirty years or teenagers venturing into the dating world. Matchlines gives people hope that they can be happy in love. So many people had tried other methods, books, and therapists without getting better, but they said my theory shows them what was going wrong in their relationship while the diagrams and cartoons made them laugh. Most people seem to comprehend it and make changes that make a big difference in the quality of their relationship. PKJ: What are the main features of the book? MB: Everyone has a learned capacity to love another that can be estimated and compared to another’s. For a compatible easy relationship, the two capabilities or “lines” need to match, thus Matchlines. A step by step instruction on how to analyze your relationship is in the book, as well as chapters on you and your partner’s “love heritage,” your current love capacity and ways to improve your ability to give love and sometimes, to give less demonstrative love. PKJ: Had you done much professional or popular writing before? PKJ: Is it true that this will be the first in a series of books? MB: The relationship theory will be applied to parenting and step parenting and also business and social relationships. I am under contract for three more books for my publisher, Archebooks Publishing. I attended a writing conference run by the Naples Press Club last January and met Bob Gelinas, the publisher. Everything happened very quickly. 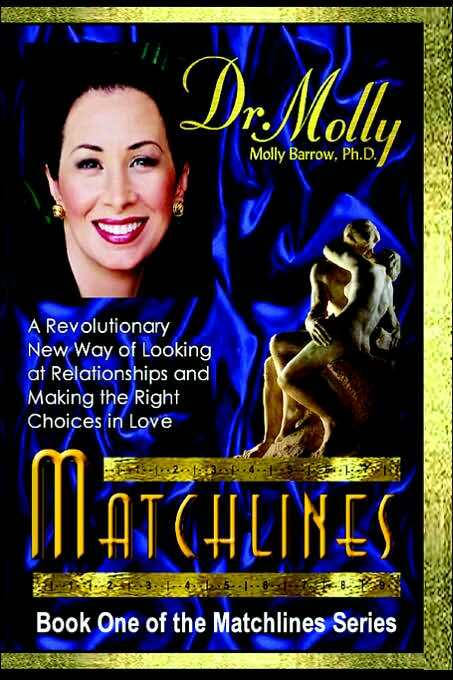 Six months later I have a book, Matchlines, a web site www.askdrmolly.com and a blog www.drmollybarrow.com . PKJ: Has the publication of the book affected your practice in any way? MB: My patients are thrilled for me. Many have already bought the book and are giving me five star reviews on Amazon and barnesandnoble.com. That feels pretty great! PKJ: What are your interests and hobbies and your views on living in Naples? MB: I love movies, gypsy flamenco music, and books on nutrition and health. I read movie magazines on the treadmill, enjoyed Jimmy Carter’s tapes about values, and the last film I saw was An Inconvenient Truth with Al Gore on global warming. I eat organic food 95% of the time. I think Southern Florida real estate is still the best buy around when you factor in the beach lifestyle and scenic beauty of this area. I have a few causes. One is Regenerate, a non-profit that helps prevent teen fatalities from suicide and reckless driving. When Regenerate founder David Miller and I met at Sundance film festival, he told me about his work with teenagers using teen peer influence in prevention commercials. He developed the concept for the film My Suicide, which he directs. I am a producer of the film, and we hope to raise the final editing funds by fall in time to enter My Suicide at Sundance 2007. The film stars Gabriel Sunday, David Carradine and Mariel Hemingway. Dr. Molly Barrow will be at the Naples Barnes and Noble for a talk/questions and book signing on Friday, September 1 at 7:00pm. Steinhouse’s first book, Wallenburg Is Here, builds to the collision between Wallenberg and Eichmann. SS Colonel Adolph Eichmann was charged with exterminating the last remaining community of European Jews – those in Budapest, Hungary. Eichmann planned their transport to death camps and ordered mass murders in the streets. Raoul Wallenberg, under cover of being a diplomat in the neutral Swedish Legation but in fact working with the American War Refugee Board, was determined to end the Nazi slaughter of these people. A child of privilege whose family had built a business empire, Wallenburg risked everything for this goal, though the mission had little chance of success. Steinhouse brings the facts alive through his own passion and story-telling skill. Righteous and Courageous tells a less well known but equally thrilling story – that of Chiune Sugihara, the Japanese consul posted in Lithuania who risked his life to save thousands of Jews from certain death. When Sugihara learned that German forces had reached the Lithuanian border, he realized that as soon as they entered, tens of thousand of Polish Jews who had fled to Lithuania would be exterminated. Frantically, the threatened Jews attempted escape, but no consulates would issue visas to them. Against his government’s orders, Sugihara worked tirelessly to issue thousands of visas, and he also arranged for these escapees to cross safely through Russian to Japan. Improbable Heroes dramatically reveals how 85% of Italy’s Jews were saved. Under the crush of German power and Mussolini’s cruel complicity, Italian and non-Italian Jewish families were targeted by the SS for extermination. Steinhouse vividly portrays how “ordinary” Italians saved Jews from annihilation. They concealed Jewish identities behind forged documents, while Catholic clergy hid Jews, dressed as priests and nuns, in convents, churches, abbeys, and even the Vatican. Monks from Assisi escorted rabbis and other Jews disguised as Catholic religious pilgrims through the German lines to safety. The author considers this book his favorite “child” in part because of the great challenge of the research involved and in part because it is the latest in the series. Keep up with Carl Steinhouse, and learn how to order his books, by visiting his website: carlsteinhouse.com. Perhaps the penchant for research is something this author inherited from her father, an amateur Dickens scholar. A literature major who attended the University of Ohio as an undergraduate and Ohio State as a graduate student, Harper credits her success, in part, to extensive travel, along with studies in the classics and in European history. These experiences gave her the background she needed, and once she broke through as a novelist, she was able to leave behind her seventeen-year career teaching college and high school English. 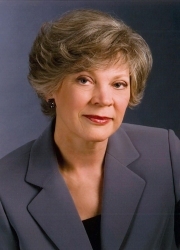 Karen Harper won the 2006 Mary Higgins Clark Award for Dark Angel, which was published last year. This award, sponsored by Simon & Schuster and given to authors who write suspense fiction in the mode of Mary Higgins Clark, was presented in April at the Mystery Writers of America Gala Banquet in New York. Southwest Florida residents and visitors can get particular pleasure out of Harper titles that conjure up this fascinating region. Having been a snowbird for twenty-one years, she has come to “love the area and find it a rich treasure trove for themes, plots and settings.” Her latest title, Hurricane (from Mira Books), is a great summer beach read. Published last month and available everywhere, it is set on the 10,000 Islands and on Marco Island. 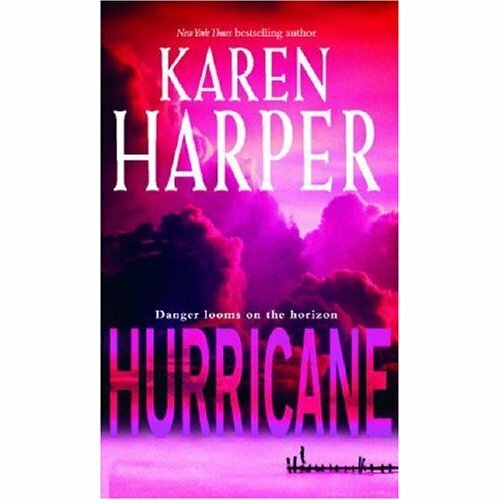 This suspenseful romance derives in part from interviews that Harper did with local residents who had suffered through hurricanes (though its composition preceded Wilma). Just reissued, also from Mira, is Black Orchid, with scenes set in Naples, the Everglades and Chokoloskee Island. The plot involves endangered panthers, the Seminole Indians, and rare orchids. Harper also did all the research for that book locally. The book she’ll be working on this winter in Naples will once again use Southwest Florida settings. Keep up with this enormously talented writer at her website: karenharperauthor.com.